with rice, vegetable and lemon pan sauce. Served with mashed potatoes, fresh vegetable and Portobello relish. with sweet corn coulis, rice and fresh vegetable. Blackened beef sirloin served on crisp romaine lettuce with crumbled Gorgonzola cheese, tomato, red onion, cucumber and crispy croutons. Turkey & Grilled Veggie Melt w/Irish Porter cheese. Served on a bakery bun with mayonnaise and choice of accompaniment. New Rums in stock and Tasting Notes Rum No 7. New Rums in stock and Tasting Notes Rum No 6. 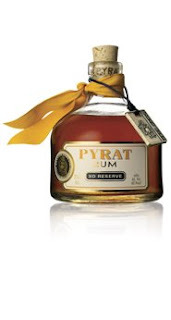 From BoozeReviews.net: “I don’t normally like sweeter rums… but this one is like a perfectly-balanced wine. If you ever see this stuff anywhere, buy two bottles. You’ll drink the first one in a couple of nights because you’ll be so amazed, but then you’ll have a 2nd one you can save so you can be amazed again at a later time. New Rums in stock and Tasting Notes Rum No 5. Rhum Barbancourt Estate Reserve of Haiti is known the world over as “the rum of connoisseurs”. Made from the juice of sugar cane, the production of Rhum Barbancourt follows a centuries-old tradition that grew from the French methods of creating cognac and brandy. Rhum Barbancourt rums are special not only because of the way they are made, but because there are three ages to enjoy: Four year old (Three Star), eight year old (Five Star Reserve Speciale) and fifteen year old (Estate Reserve). Unparalleled in quality and taste, Rhum Barbancourt is distilled from hand-cut, locally grown sugar cane juice – never molasses; It is double distilled in pot stills; Aged in white oak barrels to yield a spirit that has been called “one of the finest rums in the world”. Barbancourt rum should not be mixed with Coca Cola. Its taste, comparable to a cognac, should be savored without alteration. Unlike white rums, the aged Barbancourt products, acquire the superb parfum of after-meal drinks. Even in the Caribbean, where discussions over the quality of local rums often turn into patriotic debates, Barbancourt stands out: it is simply different. Yet it still has to conquer the international market, better acquainted with Jamaican or Cuban rums. Société du Rhum Barbancourt “is one of the oldest enterprises in Haiti,” recalls Thierry Gardère, General Manager of the company, whose family has been running the business since 1862. Since 1940, the company has been cultivating its own sugar cane to guarantee the quality of this aged rum. Like other famous brands, Barbancourt keeps its production process secret. 90% of the rum officially sold in Haiti comes from their distilleries. “Our rum has to age for a certain period of time before it is bottled and marketed. Thus we need a lot of investment,” explains Thierry Gardère, adding: “Since we are traditional in our way of production, we advance very slowly and through phases. There are several categories of rum. When it comes to aged rum, we have no competition. When it comes to young (white) rum, we have competition from Jamaica, Puerto Rico and Guadeloupe,” assures Gardére, the fourth generation of rum producers. Barbancourt does not have a problem finding new markets. The challenge consists of meeting the demand, since the volume of production is not elevated. The United States is the second most important market for Barbancourt, Italy being the most important buyer. Although quality is a trademark of this rum, it cannot aspire to conquer new markets without new investments. New Rums in stock and Tasting Notes Rum No 4. Aged 12-17 years and weighing in at 40% alcohol (80 proof), this is high quality tasty rum, with a bit of a bite. This is the top end rum form Mount Gay, a fine distillery in the business of producing cane rum in Barbados for over 300 years. New Rums in stock and Tasting Notes Rum No 3. 1350 Avenue of the Americas 7th Flr. New Rums in stock and Tasting NotesRum No 2. New Rums in stock and Tasting Notes Rum No 1. In 1872 the company was founded in Santiago de Cuba by two brothers, Benjamin and Eduardo Camp. In 1872, the brothers, along with their partner Evaristo Álvarez, establish the Matusalem brand in Santiago de Cuba using a closely guarded secret formula. They combine their skills and expertise in the distillation and blending principles of the Solera system, which was originally developed to produce Spain’s famed wine, sherries, brandies, and cognacs. The name “Matusalem” is chosen to impart to connoisseurs a sense of the aging process necessary to achieve the rum’s unique flavors. It is from the popular Spanish proverb “Esto es mas viejo que Matusalem,” meaning “It’s older than Methuselah.” Methuselah is the Old Testament patriarch who is said to have lived for 969 years. You are currently browsing the archives for the Rum category.